Mangaluru: August 24, 2015: Global remittance and foreign exchange brand, UAE Exchange today announced a corporate restructuring exercise, following which B R Shetty was appointed as the Chairman. 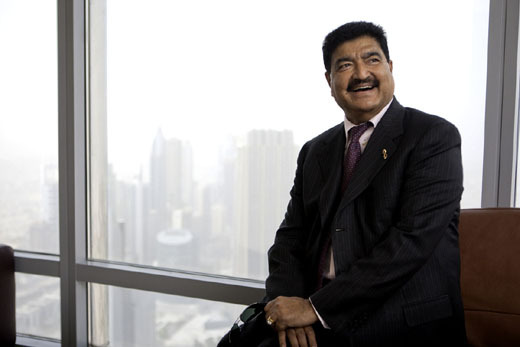 In a statement, the company said the Board of Directors have unanimously appointed B R Shetty as the Chairman. UAE Exchange would also have Nabeeel Abdul Rahman as the new Vice Chairman on the board while Manghat has been elevated to the post of CEO. He was Deputy CEO earlier. "We are glad to have Promoth taking on as CEO to lead the group to achieve more revolutionary milestones. We are confident that this structural change in the organisation will further strengthen our commitment towards maintaining growth, reiterate the trust among customers and partners, and reinforce our leadership position," Shetty said. As CEO, Manghat would be responsible for formulating the organisation’s global strategy, operations and business expansion. He will also lead the global sales, marketing and operations, including end-to-end oversight of the branches and expansion plan along with the financial and operational performance, worldwide, the statement added. Earlier, UAE Exchange had promoted Y Sudhir Kumar Shetty as the President of the company. As part of the strategic move, the company will reconstitute the Board of Directors by inducting non-executive independent directors along with shareholders and management representatives, the statement added. "UAE Exchange is going through a major transformation in its business. While we will continue our focus on spreading the brand’s footprints across new markets, we will also continue to explore reinforcing our services through a host of new value added service platforms, including online remittances," Shetty added. In 2014, the company had handled six per cent of the global remittances while the remittances and foreign exchange businesses in the same year were to the tune of USD 24 billion and USD 25 billion, respectively. Congratulation! Mr.B.R.Shetty on being appointed as the Chairman of UAE Exchange.